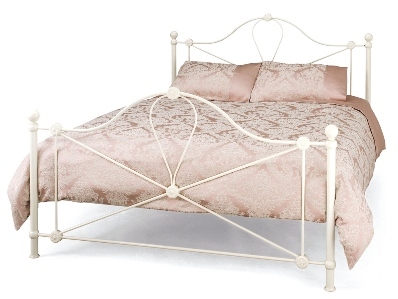 The Serene metal bed frame Lyon is new to Serene although the design has been around for a few years. 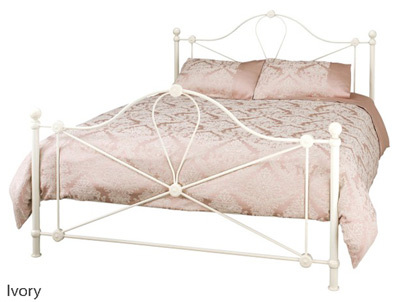 This curved bed frame is available in 4 sizes and 3 colours. The Lyon bed frame is available in single in 3 colours glossy ivory, pink and black. 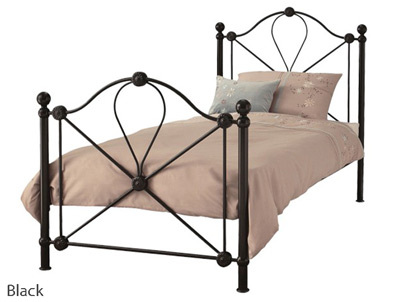 Small double, double and king size in glossy ivory & black. 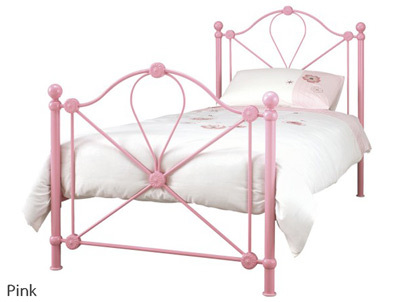 The bed frame is supplied flat packed with a sprung slatted base for home delivery.